Surface Sampling or Air Sampling is Available! Mountain State Inspections mold inspector can take a surface sample using a swab or a sticky tape. This is done when an unknown growth is found and needs to be evaluated for if and what type of mold it is. Surface mold sampling using a “tape-lift” method or swab can determine what molds are growing on a surface. If mold is present at sub-visible concentrations, or if mold spores have been settling out of the air in an unusual quantity. 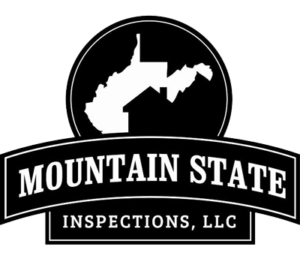 Mountain State Inspections mold inspector can take air samples for two important reasons. The mold is not visible to the naked eye and the types of mold present can be found through laboratory testing. This is done to evaluate the quality of air in your home or building to make sure levels are within acceptable levels. Each air cassette has a glass slide in it which traps mold spores we then send that cassette off to a lab to be analyzed and quantified for the number of spores and differentiation to what type of spores are present. We always take one sample outside as a control or essentially baseline and one inside (target) sample at a minimal. The mold air sample analysis can assist in providing the severity of the property’s mold problem, in addition to the amount of exposure to the people inhabiting the property. After remediation (mold removal), new air samples are taken to ensure that all the mold was removed. 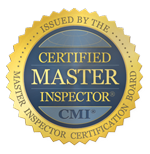 Mountain State Inspections trained mold inspector are trained to find the cause of mold, mildew, nasty odors, leaks, radon, and much more. It is imperative that you routinely get your property inspected for mold. If you would like to schedule an appointment to have your property inspected, please schedule today or call us at 304-312-2382.